OLD PARKED CARS. 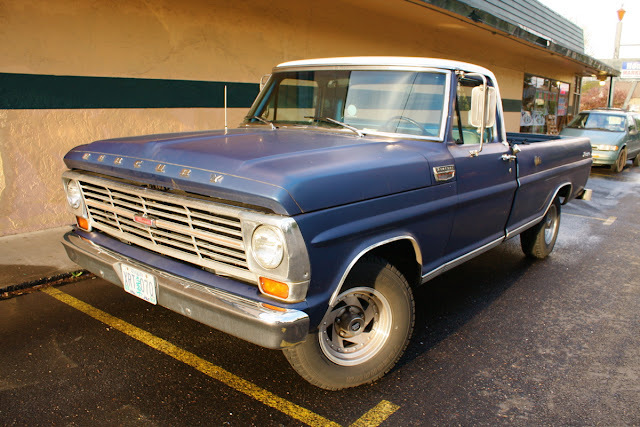 : Revisited: 1968 Mercury 100 Ranger Pickup. Revisited: 1968 Mercury 100 Ranger Pickup. 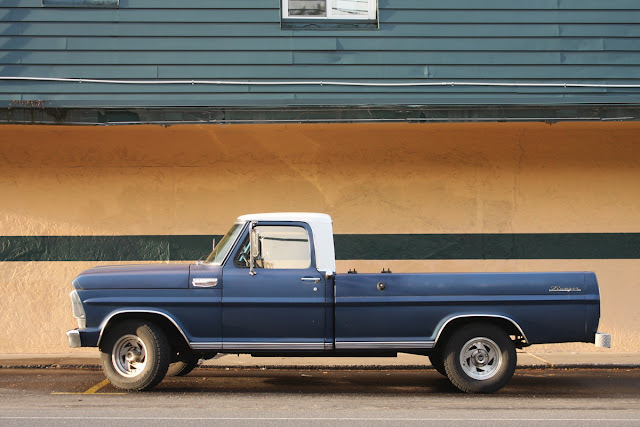 Portland's lone Mercury pickup, as posted by Ben three years ago, almost to the day. I always wondered if I was going to get the chance to see this. Then one morning last week it passed me going the other direction on my commute, very near my house. I slapped my knee and said "It lives!" That night on the drive home, there it was, parked at our neighborhood Asian grocery store, engulfed in a glorious sunset. Never knew Mercury made trucks! After further research apparently they were only sold in Canada, that explains it. That does it. I'm gonna watch craigslist, head up the street to Vancouver and pick up an old pickup. I'd like to have a Merc truck. So maybe you'll see a second Merc truck running around town in the not too distant future. Who knew! 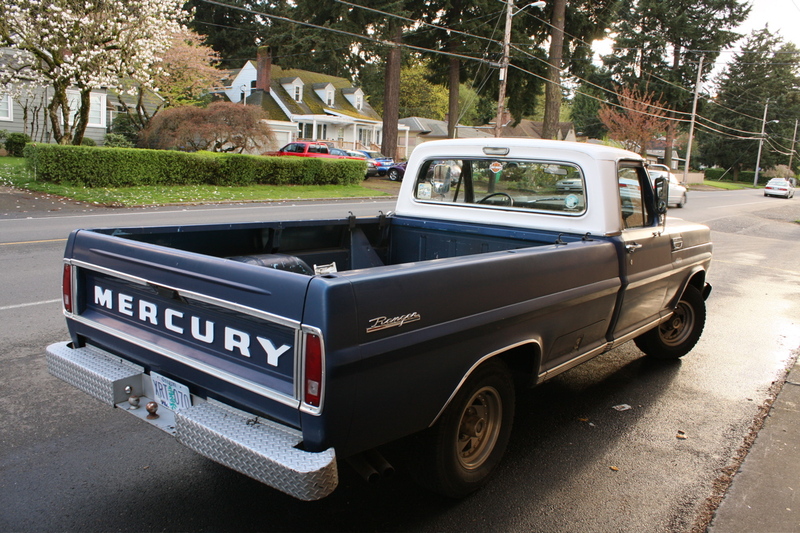 Mercury making pickups. A little different than the conventional Ford. Yep, Canada only model. Basically Ford's version of Fargo. I noticed no side marker lights. That makes it a '67, unless Canada had different regulations than the U.S. Too bad it doesn't have stock wheels and caps, it would be ultimate-cool.